At Greathouse Storage, we have a wide variety of sizes for both our storage units and our RV spaces. We offer month to month leasing options for both residential and commercial clients. Safety and security are our priority! We start with our security gate, where each client has their own security code to enter and leave the facility. There is 24 Hr. video surveillance, as well as security lights through out the lot. Most of our self-storage units have lights inside the unit to make it safe and easy to access your belongings. Customers provide their own locks for each unit. We do have locks available for sale at the time of leasing. 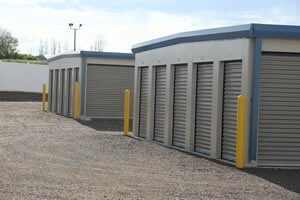 Call today to make an appointment to see the facility or to rent a unit 970-568-6606 or email us at greathousestorage@gmail.com.